Over my years of living in Taiwan, I have been the subject of a lot of jokes and comments from friends for living here in Taoyuan. Admittedly, when I first decided to come to Taiwan I read some information about the area where I'd be going and from what I read, the reviews of the county (now city) weren't particularly that great with a lot of expats referring to the area as the "armpit" of Taiwan. When I arrived however I quickly learned to appreciate Taoyuan for a lot of different reasons. The city may not have a massive and super convenient public transport system like Taipei does, but what it does have is close access to nature, the mountains, the airport and also gives me the ability to travel to a lot of places in northern Taiwan quite easily. Taoyuan might not have have a lot of popular tourist attractions but there are a lot of under appreciated historic sites that I've been lucky enough to visit and not have to deal with crowds of tourists. If I'm to be blunt, in the first few years of living here we had KMT heavyweight Eric Chu (朱立倫) who was then followed up by John Wu (吳志揚) serve terms as the county magistrate and it was quite obvious that they basically did nothing of any significance during their terms. Fortunately the political tide in Taiwan turned a few years back and Cheng Wen-Tsan (鄭文燦) of the DPP was elected mayor of the county by a thin margin. The election of Mayor Cheng has been nothing short of amazing for Taoyuan and it is easy to see that the mayor has not only spent a considerable amount of time modernizing and revitalizing the area but has also spent a considerable amount of effort in restoring Taoyuan's various historical places of interest into attractive tourist destinations for both domestic and international tourists. For some, this may not be a big thing, and I'm sure that many people haven't even really noticed, but for someone like me who has lived here for a long time, I see the Taoyuan of today as a place where people will want not only want to live, but to visit to experience Taiwan's history and that of the vibrant Hakka culture that is so well-preserved here. Under Mayor Cheng's leadership Taoyuan is becoming a place that people want to visit rather than a place that people try to avoid. I'd give the guy a prize if I could, he's doing an amazing job and I have to say that whenever someone makes a comment about Taoyuan, I just ask if they've visited lately. The subject of today's post is yet another example of one of the many accomplishments of Mayor Cheng (and all of the people elected across party lines at the Taoyuan City government) and is one that has been going through a period of renovation for almost as long as I've been running this website. Coincidentally I had planned for this to be one of the first posts on my blog a few years back when I started all of this, but I felt that I didn't have enough photos to really do it justice and it was shut down for renovation meaning that I'd have to wait until work was completed. 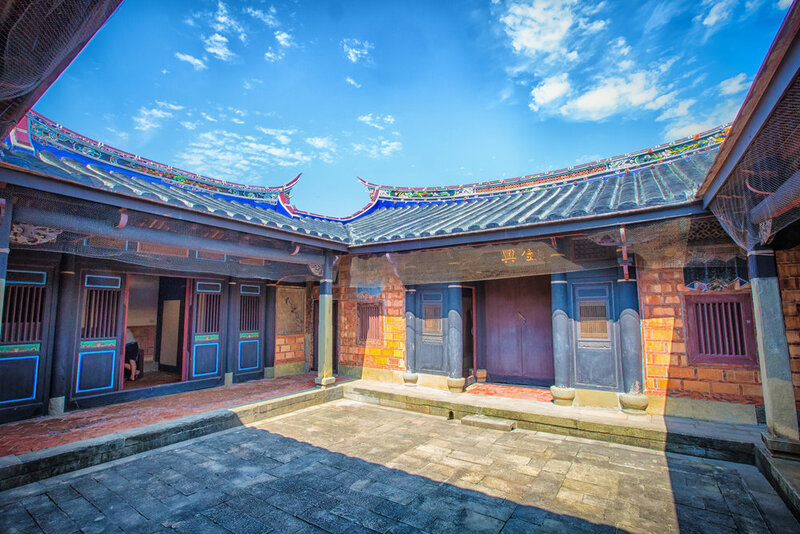 The Lee Teng-Fang Historic Mansion (李騰芳古厝) reopened to the public in late April and I made sure to get over as quickly as possible to check out the work that had been done as well as getting the photos needed to write a blog about it. With this blog post I'm going to depart from my usual style of delving (way too much) into the history and instead talk about some of the renovations and my general feelings about the difference in visiting the mansion today than when I originally visited it a few years back. Part of the reason for this is that one of my favourite Taiwan authors, Richard Sanders has already written extensively about the mansion in an article in a much more eloquent way than I ever could - If you want to know more about the history of this beautiful mansion, I suggest checking out some of the photos here and then checking out Richard's article for more context. In my blog about the popular Daxi Old Street (大溪老街) I touched upon the history of the village which was at one time a major player in the early Taiwanese economy. Daxi, like quite a few other villages in Taiwan found its early commercial success thanks to its proximity to the mountains and because it had a once thriving river that gave merchants the ability to transport tea and camphor out of the village in a time when modern forms of transportation were unavailable. The area we refer to as the "Old Street" today was originally constructed as a shortcut to transport goods to the river and as the economy grew in the village, businesses soon starting popping up along the street. As people started to become wealthy, they wanted a way to show off a bit of their prosperity so they hired artisans to come and help design and carve beautiful stone designs on their homes and businesses along the main street and the streets around it. The wealthiest of the villages merchants however built their homes away from the hustle and bustle of the busy village area and the Lee Teng-Fang mansion, which was the biggest of its time remains the most well-preserved to this day. The Hakka-style mansion, which is now classified as a grade two historic mansion complex was built in 1859 and consists of two main buildings with four side buildings with a large courtyard in front of the building, one in the centre of the building and a brick wall surrounding it. 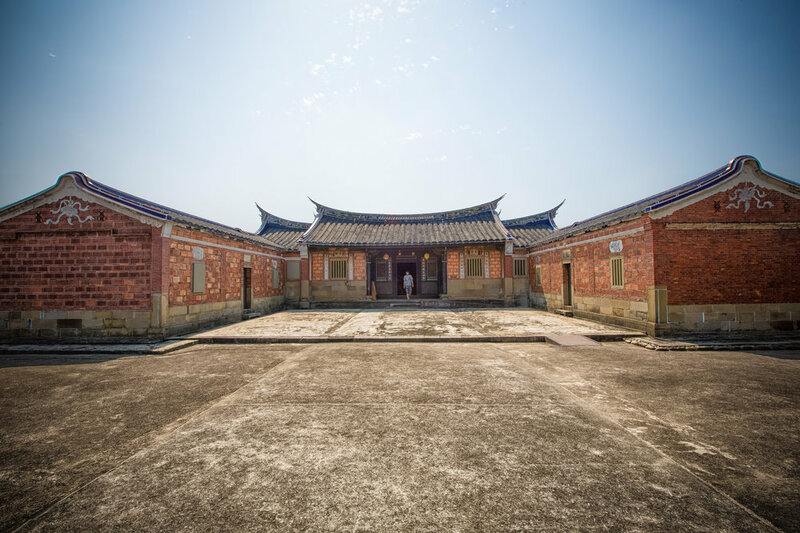 Built on the banks of the all-important Dahan River (大漢溪), the mansion today blends in with the beautiful fields of rice and farms that surround it making it a quiet and peaceful place to visit compared to the hustle and bustle of the old street. If you visit during the summer, you are likely to see the rice paddies replaced with fields of wild flowers which makes the ride over from the old street even more enjoyable. The Lee Family was a wealthy one that originally hailed from the Fujian Province area of south-eastern China. 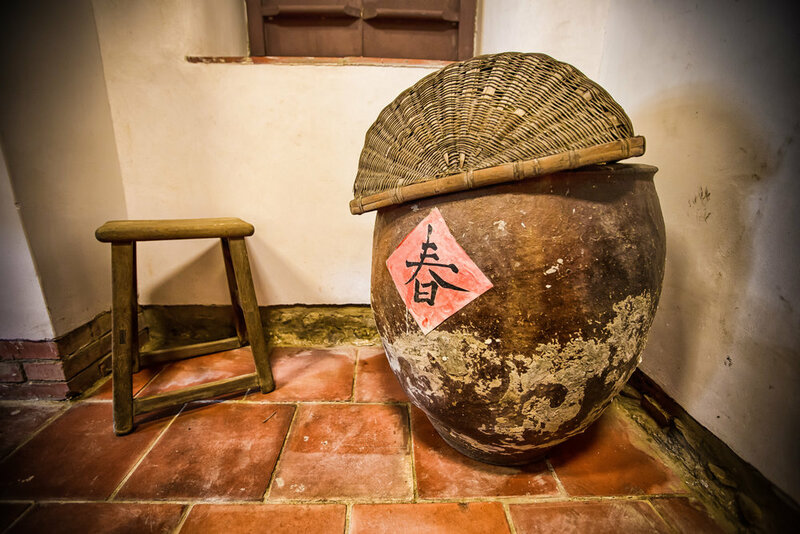 Making its fortune in the rice industry, the family patriarch Lee Bingsheng (李炳生) opened the Lee Family Store (李金興商號) in Daxi village (near the old street) and was one of the most well-respected merchants in the area. Wealth allowed the family to make education a priority and the academic excellence achieved by Lee Teng-Fang, one of the three sons in the family brought a lot of pride to the people of the Daxi village region. In 1856, Lee Teng-Fang (at the age of 43) passed the first of his important civil examinations achieving the level of a "scholar" (秀才). Soon after, he travelled to China on a few separate occasions for higher level exams achieving the rank of a middle-ranked official (中舉) and then as a high-ranked official which brought with it a commendation from the Emperor. The Lee Teng-Fang mansion was built as a gift to the prestigious student with construction starting (as mentioned above) in 1859 after Lee passed the first of his important examinations and was completed a few years later in 1864. After passing the exam, the people of Daxi got together and in Teng-Fang's honour constructed a special road from the village to his family home and renamed the area after him - Daxi's original name was "Daguxian" (大姑陷) and was renamed to "Dakeken" (大嵙崁溪). The road is still in use today and is the one that brings you from the old street to the mansion. The village however has since been renamed. Since its completion in 1864, the mansion has been expanded upon on several different occasions with a new hall being completed in 1926 and then several renovations and restoration projects since then with the latest being completed at the end of April 2017. The renovations of the complex are where I'd like to spend a little bit of time - For the most part not a lot was done to change the overall look of the mansion. The restoration process took care of some of the wooden carvings on the walls and on the roof as well as restoring some of the artwork on the walls as well as adding some interactive exhibits for people to learn about the history of the area as well as that of the mansion and other traditional houses like this. The restoration process took a few years to complete and I suspect that the majority of time was spent on having local historians and artisans come in to repair and recolour the murals on the walls as well as on the outside of the halls as well as the traditional decorations on the various sections of the roof which have been fully restored. The major difference between the most recent renovation and my previous visit is that the rooms to the sides, which were originally bedrooms, kitchens and dining rooms have since been filled up with interactive exhibitions that explain the function of each. One of the "cutest" additions is that of a holographic display of the family's pet cat sleeping on the floor and chasing a rat that appears out of a whole in the wall. The whole thing seems completely unnecessary and isn't really the kind of thing I want to see while visiting a place like this, but I suppose it does its part to keep the children interested while visiting. If you have a bit of time while visiting the mansion, there are guided tours available and there are also rooms which have projectors that teach a bit of the history of the building. I feel like if you want to really have a full understanding of the history of the Daxi area, the mansion and the story of how the family became so wealthy, then by all means take a seat and check it out. In most cases when buildings like this undergo a restoration process of this kind they end up adding a bunch of kitschy and unnecessarily 'cute' things that ruin the historic aesthetic of the building. In the case of this mansion, the cuteness was kept low-key and the majority of the time was spent in the areas where the building needed the most attention to ensure that its history could be enjoyed by future generations. There is a lot to do in Daxi and if you are making plans to visit the historic village, you have quite a few options for places to visit to spend your time. 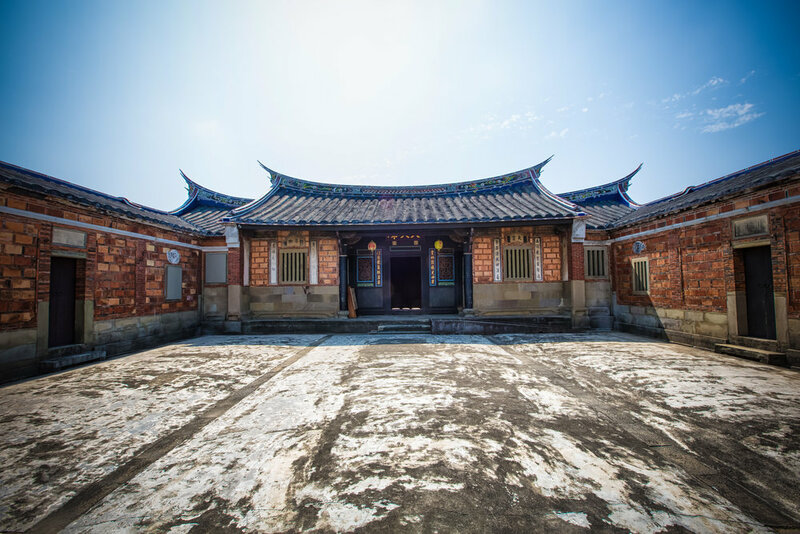 Most people will spend their time on the historic Old Street while others might check out the Daxi Martial Arts Hall, the Daxi Tea Factory, Zhai-Ming Monastery, the Cihu Mausoleum, the TUBA Church or the Sanmin Bat Cave. No matter what your plans are, if you are visiting the area, a stop over at the Lee Teng Fang Mansion is recommended. The village is equipped with the popular Ubike public bicycle sharing system so getting to the mansion from the main area of the town is quite easy. You could also drive or scooter over to the mansion, but I think the experience of bicycling along the pathway that Lee Teng-Fang himself would have walked each and every day is a great experience. I'm happy to see that this beautiful mansion has finally been reopened to the public and I'm also quite pleased that I waited to blog about it until now. The day I visited had beautiful blue skies and the photos turned out quite well, especially compared to the last time I visited. 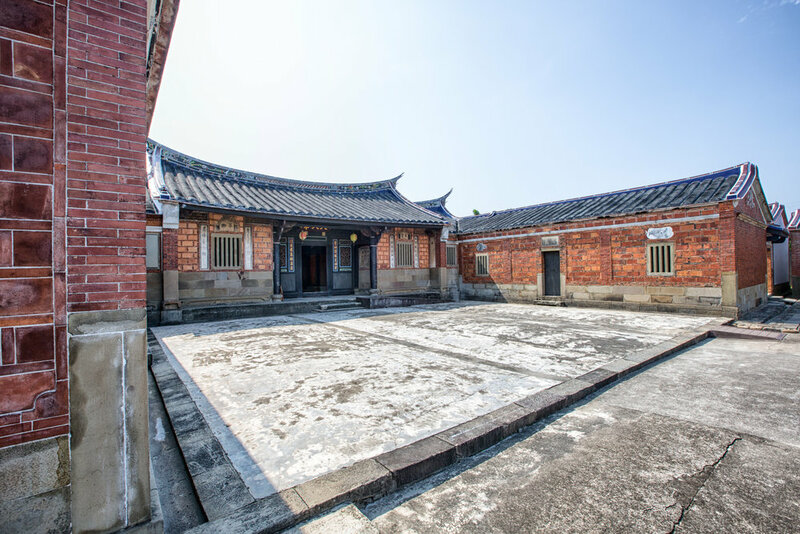 If you are interested in Taiwan's history at all, I think a visit to a beautiful old mansion like this is a great learning experience and a much better one than you'd have in a museum I might add. I may not enjoy some of the new additions but they don't really take away from the overall experience of visiting the mansion. Be sure to check it out if you're in the area!